The NAEA Research Commission invites you to engage in an online conversation taking place Monday, February 11 -­ Sunday, February 17, 2019 exploring the recently published "NAEA-­AAMD Research Study: The Impact of Single-­Visit Art Museum Programs on Students." All are welcome to share thoughts, questions, and experiences related to the study during this time as we engage in a dialogue about the research process and the study’s significance for practice. Observe and participate in this interactive NAEA Research Commission Conversation by logging on to the NAEA Research Commission Conversation Community on NAEA Collaborate using your member credentials and joining the community, if you haven't already. 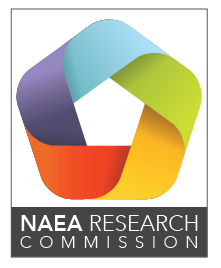 Login: Log in using your NAEA credentials and join the Research Commission Conversations Collaborate Community.